Organic farming appeared as a notion in Korea in the early 1970’s. Independent farmers, rather than government farms, took the foreground of the movement. 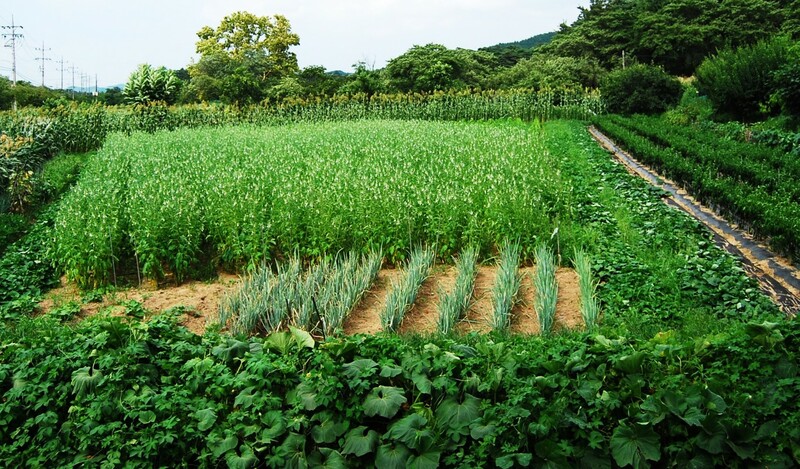 Today, the Korean Organic Farming Association counts over 80,000 organic farms. 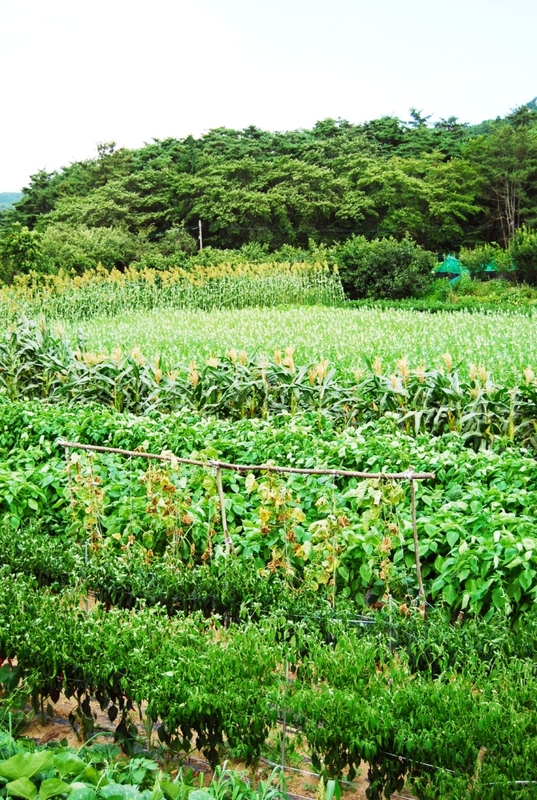 John Paull, in Korea Rediscovers Organic Agriculture, says, “South Korean organic agriculture increased ten-fold from 2004 to 2009…” Also in this time period, farms and producers multiplied. In a survey by the Agricultural and Science Institute in 1992, “…it was revealed that about 50% [of organic farmers] applied chemical fertilizers and/or pesticides, although at reduced rates,” under the “broad definition” of organic farming discouraged by the KOFA. One reason for the abuse of fertilizers and pesticides in Korea has been for the goal of becoming self-sufficient in the production of rice and the proliferation of other crops. Overexposure to the high degree of chemicals and pesticides in Korean foods has resulted in skin diseases in children and a high rate of cancer, says Seoul Eats. From the late 1980’s and into the early 1990’s, agriculture in Korea readjusted motives to concentrate on competiveness with the opening of markets internationally. From the mid-1980’s on, the Korean government distributed money to various plans, strengthening their agricultural sector, such as the “Agricultural and Rural Structure Improvement Plan” ($47 billion), the “Comprehensive Rural Development Plan” ($ 17 billion), a structural adjustment plan ($37 billion), and the “Comprehensive Plan on Agriculture and Rural Communities” ($104 billion). Before and since its gradual move to public sphere, organic farming has generated no definitive definition in academia, scientific circles, or governmental classification. “There seems, however, to be a loose agreement that organic farming emphasizes the use of organic materials in place of chemically synthesized fertilizers and discourages the use of agricultural chemicals for the protection of crops,” says Chong-Woon Hong of the Agricultural Science Institute and Rural Development Administration, in “Organic Farming and the Sustainability of Agriculture in Korea” (1994). In 1993, the Ministry of Agriculture, Forestry, and Fisheries (MAFF) of Korea categorized two types of organic farming as “narrow” and “broad.” The narrow definition is utilized as a legal mechanism to draw the attention of consumers and distinguish purely organic products from others in the market, whereas the broad definition suggests chemicals and pesticides have been used, but in combination with organic practices. “What was striking is that the majority of the farmers were not practicing organic farming for the sake of higher profits, nor because they were seeking to follow sound farming practices. A sizable number of farmers opted for organic farming simply to avoid the dangers involved in using pesticides,” says Hong. A chart compiled by a joint survey by the Korean Rural Education Institute (KREI) in 1990 and ASI in 1992 suggests the top reasons of adopting organic farming by Korean farmers was to avoid the dangers of pesticides and the encouragement by KOFA. Though Hong believes a rudimentary issue in the endeavor to promote organic farming has been the lack of consideration directed toward economic characteristics, many more problems have materialized concerning the overall health and quality of organic produce and how it negatively effects the environment. In the 1990’s, Hong found that organic farmers also overused organic manure that would yield crops high in plant nutrients and nitrate and render soil with higher electrical conductivity. “As well as the possible eutrophication of surface water with accumulated phosphorus from the soil, the accumulation of nitrate in soils leads to a deterioration in the quality of underground water” (Hong, 1994). However, when omitting pesticides completely to adhere to the narrow definition of organic farming, many Korean crops bore significantly less usable produce numbers, with 100 percent of cucumbers being infected with mildew and cabbage suffering higher attacks by pests. A paradox developed in which both chemical farming and organic farming looked as if long term outcomes would not be sustainable. “At least for the time being, Korean agriculture cannot completely abandon conventional farming and the use of agricultural chemicals” (Hong, 1994). The study of organic farming shifted in the 1990’s when the focus was redirected to refine farming procedures that utilized components of organic farming in more advantageous ways. Hong says research topics included the long term study of plant nutrients in organic manure, the production and manufacturing of organic manure from by-products and organic wastes in a sustainable manner, customization of farming techniques dictated by different agricultural zones (“In Korea, it is anticipated that the differentiation of farming according to geographical zones is a probable option for the development of agriculture, to cope with the new socio-economic circumstance of the coming years”), and making organic farming systems profitable (Hong, 1994). In order for sustainable, organic farming to work in the future, attempts would have to be made to use organic by-products in correlation with the agricultural system in place to decrease chemical fertilizers and strengthen soil make-up with bio-farming, which would, in turn, contribute to the protection of the environment. Agriculture during the 1970’s concentrated on new fertilizer and farming equipment, effectively halting food shortages experienced in previous years. When Korea progressed from an agrarian culture to an industrial one, processed foods and dairy production increased and beef and pork became readily available. Meats have steadily risen in consumption and popularity. Michael Pettid, in Korean Cuisine: An Illustrated History (Reaktion Books, 2008), writes, “The consumption of meats such as beef and pork also increased markedly in this decade: in 1961 the per-capita consumption of meat was only 3.6 kilograms, but by 1979 this number had exceeded 11 kilograms per person.” By 2005 the OECD reported various animal products (livestock, eggs, chicken, pork, beef and veal, and milk) consisted of 33 percent of agricultural production. “For example, the value of pork production has almost tripled in the last ten years, while the value of beef, milk, egg production have almost doubled, and chicken production has increased by 40%,” (OECD, 2008). 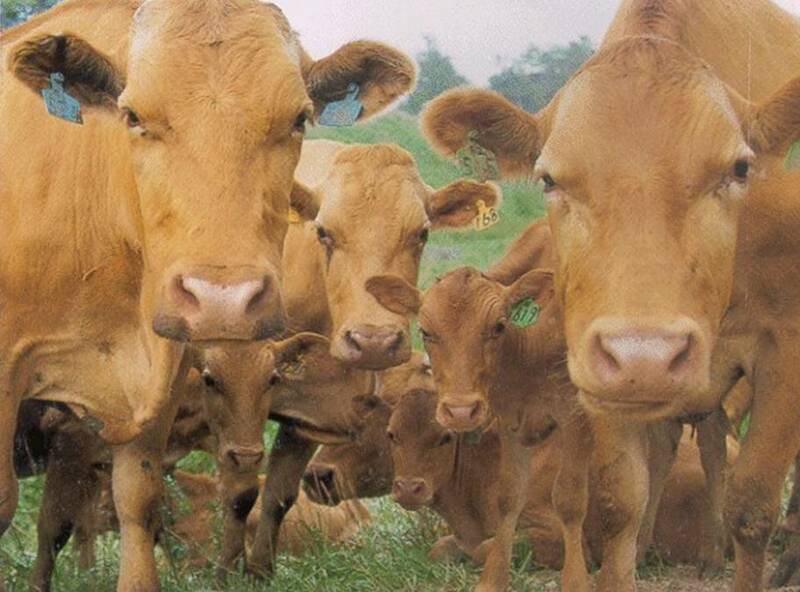 Korea’s government statistics website suggested an increase in production costs of calves (6.3 percent), Korean beef cattle (1.3 percent), beef cattle (1 percent), and milk (9.3 percent) from 2011 to 2012. In the Agricultural Policy evaluation, the OECD advised decreasing the milk quota in Korea in order to reduce the need for subsidy on manufacturing it as a major factor to be dealt with. Not only are Korea’s water sources abused, but the overproduction of manure has expanded to larger bodies of water, “Around 44 million tons of livestock manure was produced in 2006, of which 2.6 million metric tons was dumped into the sea causing harmful effects on coastal fisheries,” (OECD, 2008). 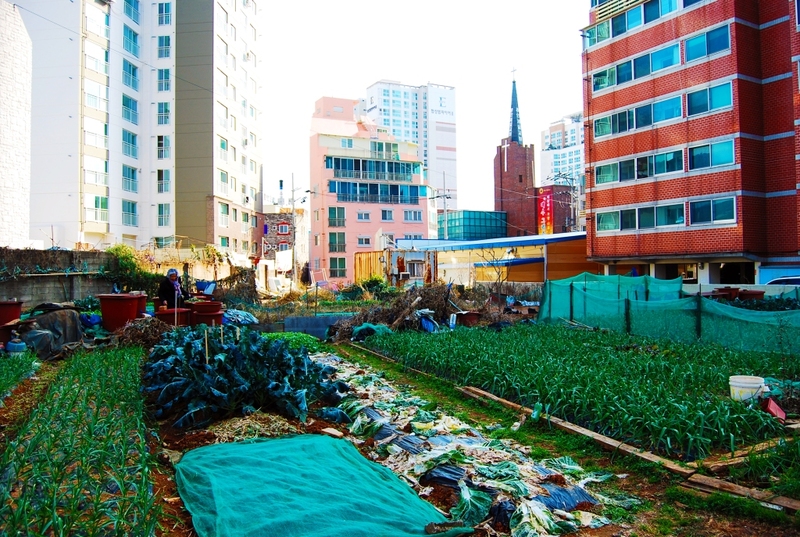 The Nation explains that with the globalized food production system having gone through the process of liberalization in Korea in recent years, even farmers have left and become residents of the city. 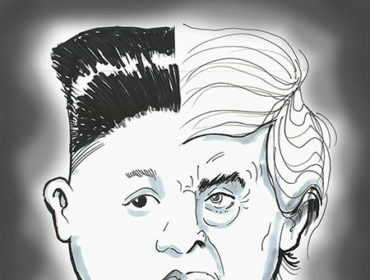 The government discarded quotas and tariffs in 1994 after Korea joined the WTO and the Agreement on Agriculture, with farmers protesting the WTO and free trade agreements favored by the government. Recently, with dwindling numbers of native laborers and with many active in the organic farm community aging, Korea has looked to Southeast Asian countries for migrant laborers for farming. In a report issued by Amnesty International, these workers have experienced excessive working hours, little rest, unpaid overtime, unsuitable housing, and violence from Korean employers and overseers. This system set in place by the government enables trafficking and forced labor in a country recently considered a first world status. Under the EPS employment policy, employers can fire foreign workers without just cause and also wield over them work release forms that must be signed by the employer in order for the migrant worker to change jobs, which, Campbell says, leads to exploitation. In the report entitled “Bitter Harvest” issued by Amnesty International, accounts of physical violence have been recorded in which Korean employers beat migrant workers for sitting down or attempting to take a break. Employers breach contracts by neglecting pay, paying late, or in installments. A major issue stems from the inability to professionally address the problem: “When I complained to the job centre, the caseworker just called my boss and accepted at face value the promise he made to her. She did not follow up so nothing changed,” says a Cambodian migrant worker in the Bitter Harvest report. Migrants were pressured not to bring up complaints to the labor boards and to apologize to employers, undermining the severity of the crimes and breach of contracts committed by employers, and displacing the immediate difficulties and human rights of the workers. Amnesty says employers rarely faced any legal repercussions or sanctions for exploitation and mistreatment of employees. “The Korean authorities have effectively cornered the migrant workers into abusive conditions by turning a blind eye to the blatantly exploitative work practices and letting the perpetrators off scot-free,” said Norma Kang Muico, Amnesty International’s Asia-Pacific migrant’s rights researcher. Amnesty International has issued a series of changes for which they urge the EPS to utilize. Despite issues in environmentally and economic sustainable organic farming, Korean organic products have fared well overseas. “The Asian market continues to show high growth in terms of organic food production and sales. Organic crops are grown across the continent, with some countries becoming international suppliers of organic commodities. Retail sales were about 780 million US dollars in 2006,” reports Organic Monitor. Also reducing parasites and pathogens, the Flexible Dome-Type Anaerobic Digester, organic materials are disintegrated biologically (anaerobically) by microorganisms (biogas) under specific heat and moisture conditions creating reusable products. 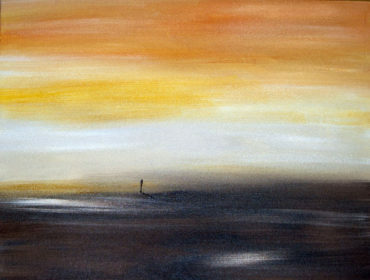 As for the tons of excess manure being dumped into the ocean, in June of 2007 the Korean government proposed a strategy to diminish the procedure, eventually halting the practice indefinitely. At home, for the cost of a membership fee, consumers in Korea can shop at iCoop, an organic cooperative of farmers and associates who produce organic, viable foods at cheaper prices than larger grocery stores. A new restaurant in Namcheon, Busan, Jack and the Beanstalk, sells 100 percent plant-based, organic, and non-GMO foods as well as imported, organic items. Also in Namcheon is a vegetarian friendly, organic café called Ecotopia. Health food stores and health-conscious restaurants have been appearing in larger Korean cities in recent years, although slowly. 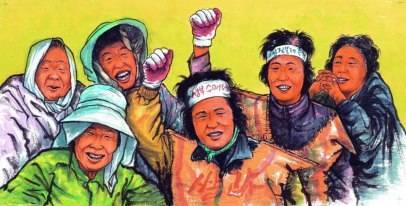 The Korean Women Peasants Association (KWPA) controls 26 small producer communities. Among these producers are My Sister’s Garden farms that grow and distribute weekly produce boxes of organic products. They ship the boxes to individuals and organizations such as children’s centers where they hope to make a connection with the contemporary child and the rural landscape of Korea only 40 years ago. The KWPA aims to focus their energy on local, small farms to promote sustainability and independence. The organization has also initiated a seed protection program to prevent corporate regulation of native seeds in Korea, which have largely been controlled by Syngenta or Monsanto. Hansalim appeared in the late 80’s, with similarities to a farmer’s market in the west, which intended to establish a relationship with producers and consumers again and remove the retailers. Hansalim attempts to notify buyers of the ecological and environmental benefits of local foods such as carbon saved by purchased local food and the amount of energies saved. “This year’s Korean food exhibition is large-scale and the 1st event of its kind in Malaysia to showcase Korean foods only. Around 150 various items will be introduced from fresh produce including kimchi, gochujang (red pepper paste), kim (roasted seaweed) and rice to processed foods such as beverages, baked goods and ramen (instant noodles),” (MAFRA). Recently the OECD familiarized Korea with regulations of Good Agricultural Practices (GAP) and the Hazard Analysis and Critical Control Point (HACCP) system, as well as promoting available consumer information concerning organically grown foods. The OECD’s report says extensive investments have been distributed to agricultural improvements including distribution, processing, production, and efficiency, consolidating the overall infrastructure. 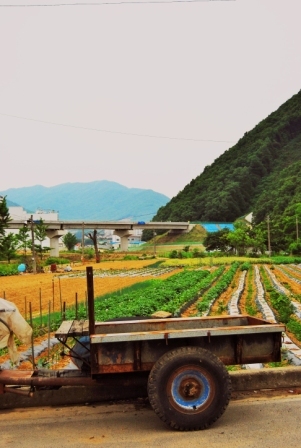 Organic farming in Korea is not straightforward in its procedures, workers’ rights, or definitions, creating unsustainable products and exposing produce to either too little or excess chemicals. However, with the pubic more informed about their products (thanks to the OECD), farmers focusing on economic and ecologic sustainability (thanks to the GAP), reducing chemicals by 50% of their current application, cutting the over-manufacturing/production of organic manure and using natural/biogas manure to decrease production costs and waste (in turn strengthening soil make-up), a greater promotion in the ideals of Hansalim, and immediate persecution of those committing physical violence and mistreatment to migrant workers, Korea seemingly has the capacity to become a very efficient, sustainable hub for high quality organic foods. Clinton Stamatovich graduated with a degree in Journalism from Indiana University South Bend. 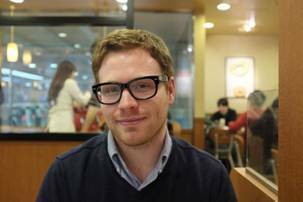 He teaches English in Busan, South Korea and works as a freelance journalist and illustrator. His articles have appeared in Groove Magazine and Busan Haps, and his poetry has been published in the University of California, Berkeley Poetry Review and Indiana University South Bend’s Analecta.